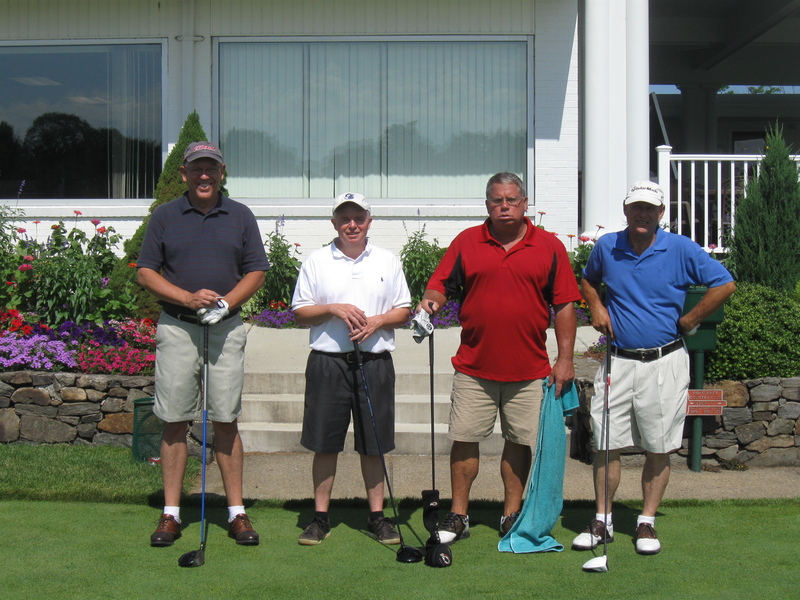 Jim Tanner played with Norm Lutz, Chris O’Neil and Bill Gagnon in the first group. JT shot his age with a score of 73! Kevin Fortin shot a 69 and the team of Capineiri, Bucci, Wroblewski and Kando posted a net 56. Mike Whitehead, Andrw Maziarz, Jared Duckworth and Mike Gelinas took the gross with a 9 under 60. Emond, Delude, Orchel and Duclos took 2nd net and Bruce MacKenzie, Fitzy, Welsh and Gore took 3rd net. Gross skins: Kevin Fortin #2, Bob Ward #14, Chris O’Neill #17. Net skins: John Markley #1, Mike Gore #7, Dave Goudreau #14, Joe Wroblewski #17. The sixth annual edition of the Classic www.jimtannercaddyclassic.com is much anticipated by the many ex-loopers that return to the links we played and caddied in our teens. Over the past 5 years, the Jim Tanner Caddy Classic has raised $30,000 for the Jim Tanner Scholarship that is managed by the Burke Fund www.burkefund.org Pawtucket Country Club caddies and club workers have received more than 100 Burke Scholarships over the past 50 years. 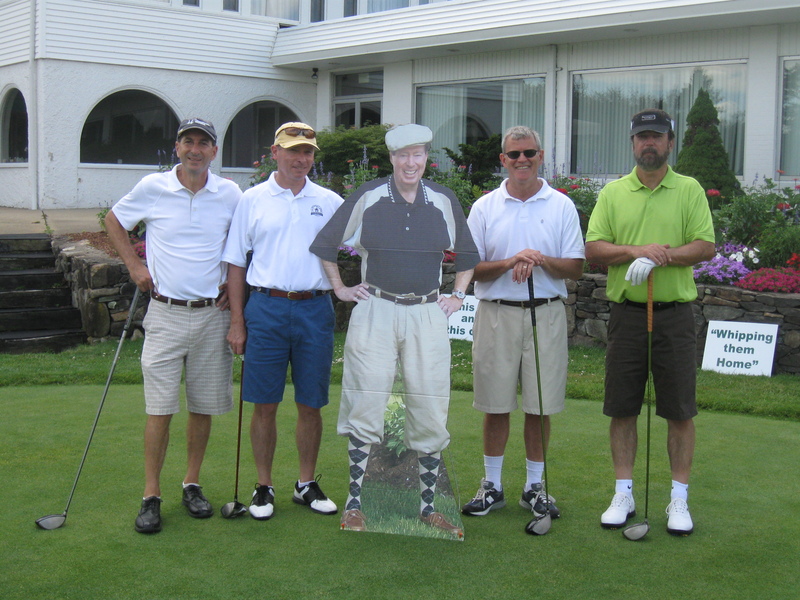 Last week, I attended a fund raising event held at the Crown Plaza in Warwick by the Burke Fund honoring Tom Ryan for his contributions to golf and charities through the CVS/Caremark Charity Classic. 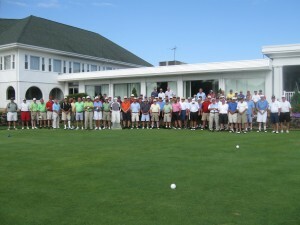 The room was packed with 400 attending including a who’s who in RI golf. Brad Faxon, Peter Jacobsen and Tim Rosaforte were the principal speakers. 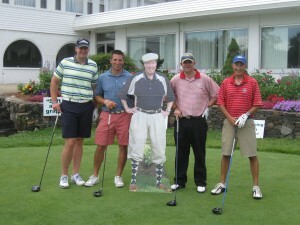 The event raised $270,000 for a new scholarship established in Tom Ryan’s dad’s memory. At last Tuesday’s event, Bob Savoie introduced me to his friend Mike Schmidt and his wife at the event. 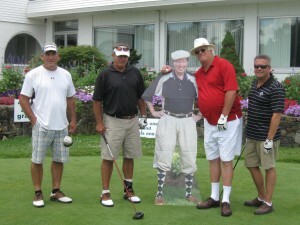 Bobby described to Mike how we played team matches in the summers of our youth at Pawtucket CC. We would have 20 teenagers including junior members and caddies playing a team match (mini A-train) for a $5 nassau. The teams were a collection of friends of various skill levels with each player competing in a best ball competition. Bob told Mike that this was the best time in his life and that he would look forward to every match with great anticipation. Although Mike Schmidt had many accomplishments as a Hall of Fame ball player in the Majors, he and his wife, both accomplished golfers were intrigued by Bob’s passionate recall of a match that he and his partner Gerry Conforti played against me and my best friend Mal Najarian. We played a two ball best ball $10 Nassau match with automatic presses. The match was close through nine. At the turn, Bob took it up a notch and finished with 3 birdies and a par in the last 4 holes to shoot 69. Bob and Gerry beat Mal and me in one of the big matches of the summer of ’72. We lost $50 each that afternoon, but more importantly, they had won the big match! 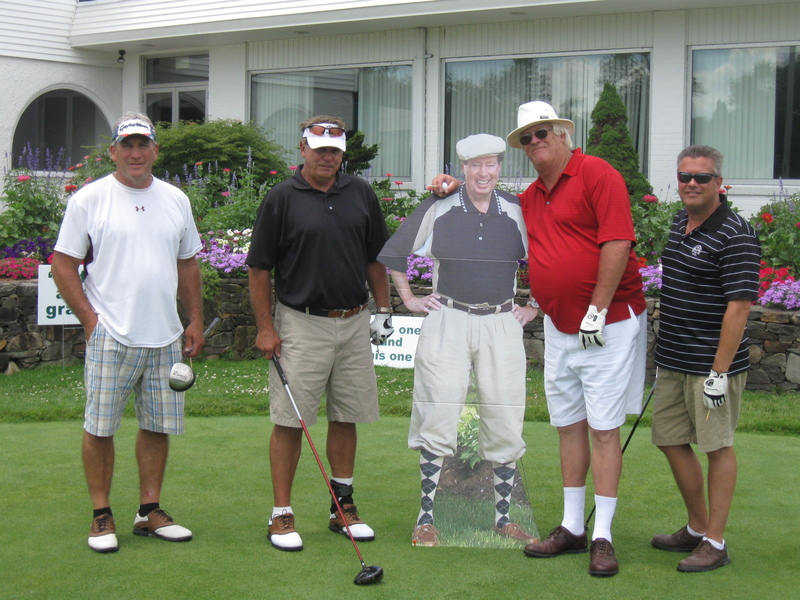 Jim Tanner was caddy master at Pawtucket Country Club in 1972 and continues in that role today. When ex-caddies return to play each year, stories of great matches and unique experiences are recounted. 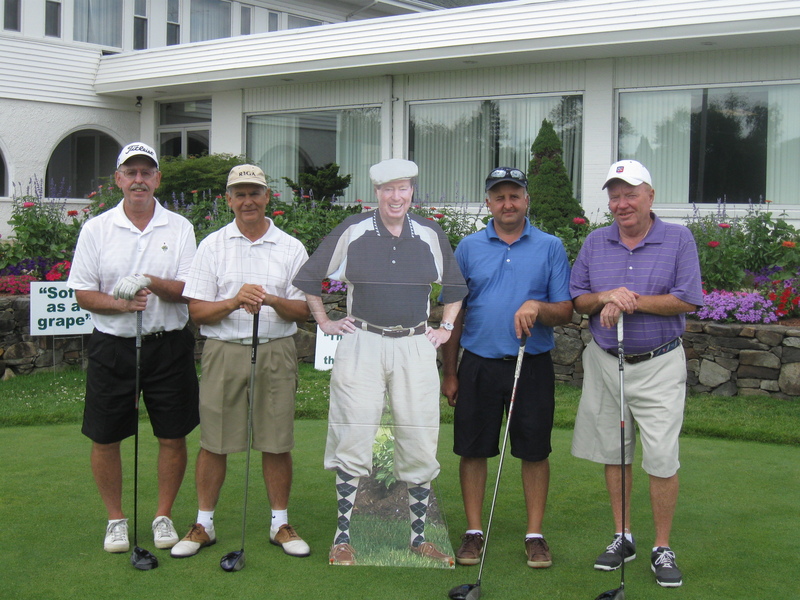 At Pawtucket Country Club, Jim Tanner has seen it all having started caddying in 1952. Jim caddied for another Hall of Famer, Charlie Sifford when Charlie won the Rhode Island Open at Pawtucket Country Club in 1956. Jim Tanner was inducted into the Pawtucket Country Club Hall of Fame in 2002 and the Professional Caddy Hall of Fame in 2010 at the PGA National Merchandise show in Orlando. Jimmy has been a mentor for many young men and women throughout the years and continues to serve the membership most every day at the club.